Take the effort out of your accounts payable processing with EzeScan. With advanced automated data capture and native integration with Technology One Financials, EzeScan delivers the fastest most cost effective method available for you to ingest both hard copy and electronic invoices into your accounts payable workflow. Automatically upload the PDF invoice in Financials as an attachment or store the document in your EDRMS with a URL link to the record in Financials. 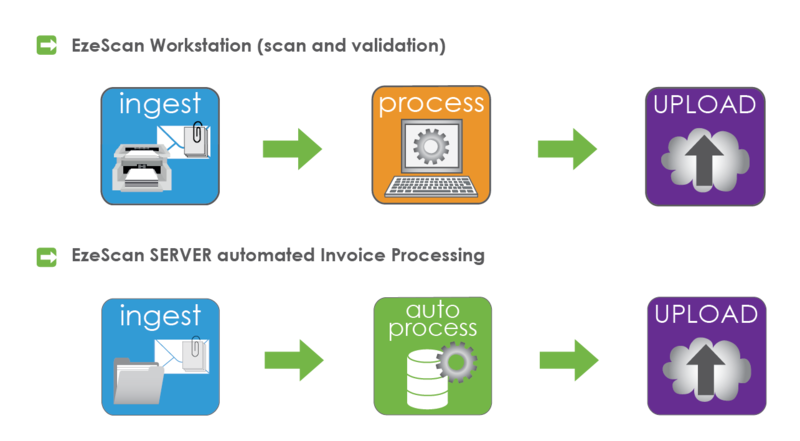 Automate your accounts payable workflow with EzeScan. EzeScan provides scanning, image enhancement, data capture, validation and upload automation. By limiting the number of keystrokes or eliminating them altogether EzeScan can deliver impressive productivity gains. EzeScan provides ‘out of the box’ native integration with TechnologyOne Financials and many industry standard EDRMS including TechnologyOne ECM. With a highly configurable interface EzeScan provides rapid deployment measured in days not months, eliminating the need for expensive and time consuming custom scripting or programming services. Depending on your volume of invoices and the level of automation you require, EzeScan can be deployed as a Workstation solution, Server solution or a combination of both. Flexible licensing options are available to facilitate segmented workflows. These include named and concurrent licences for scan workstations and indexing/validation workstations.